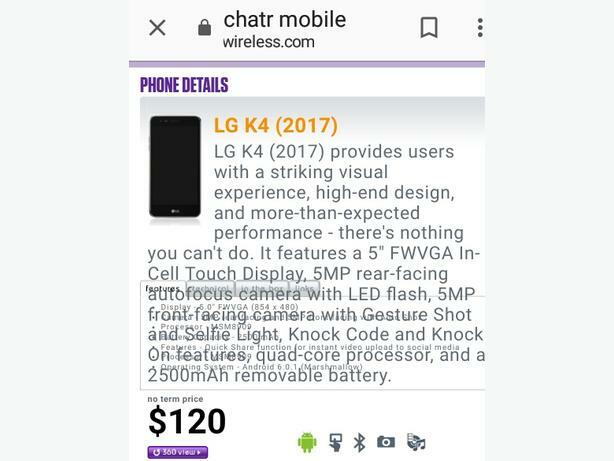 I have a brand new no box LG K4 phone purchased from Chatr last week. Lost receipt & can't return. Have extra long charging cord to go with it. No sim card comes with it.